One of the nicest guys in the world left us on March 22, 2018. Donald C. Phay passed away at Spirit Mountain Hospice House in Cody, from complications of congestive heart failure. He was 89. Don was born in Fairview, Montana, on April 13, 1928, to John (Jack) Phay and Louise Hall Phay. They moved to Glasgow, Montana, where he became a big brother to his sister, Shirley. He graduated from Glasgow High School in 1947, excelling in football and track. 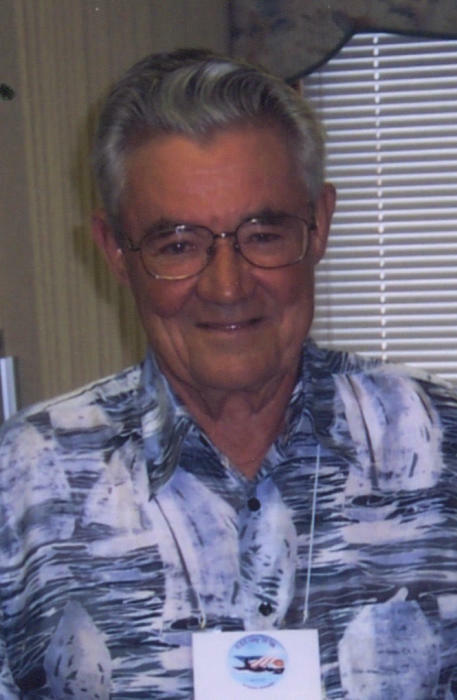 Don attended Montana State University in Bozeman, and then enlisted in the U.S. Navy in 1948. He graduated from Submarine School in 1949 and served on the USS Carp, receiving an Honorable Discharge in 1952. Don was an ironworker and a union man, working in Montana, Washington and Oregon. He retired in 1991. He was a longtime member of the Elks Club in Glasgow and Powell. He attended the Methodist Church in Powell and served on the Powell Senior Center board for a period of time. Don also worked at the Rocky Mountain Manor in Powell. Don was married to his first wife, Loice Reddi, while living in Glasgow and their twin daughters, Donna and Deana, were born there. In 1969, he married Faye Virts and moved to Vancouver, Washington. They moved to Powell in 1992 to be near family, then Faye passed away in 1999. On Jan. 5, 2002, Don married Mona Whitlock and his family grew! He enjoyed woodworking, fishing, reading, golfing and knitting hats and scarves, which were given away with lots of love. He loved children and spent many hours making toys, also given away with lots of love. Those of us left to miss him are his wife, Mona; daughter Donna Clark, Florida; stepchildren Jerry (Anita) Virts, Belt, Montana; Bev (Dave) Whittle, Powell; Sherry (Pete) Sigmann, Sacramento, California; Jody Frazier, Powell; Tracy Darrah, Powell; A step-daughter-in-law Connie Johnson, Billings; 11 grandchildren and 19 great-grandchildren. He was preceded in death by his parents; sister, Shirley; daughter, Deana; stepsons, Dave Allen, Ron Virts and Larry Virts; his first wife, Loice; and his second wife, Faye. Slow to anger and with a gentle spirit, Don was a wonderful husband, father and grandpa. He was faithful to God, his country and his family. His loved ones will miss that happy smile, great sense of humor and easy going personality, but they’re so grateful that he is free of pain. Services will be held at 11 a.m., Friday, April 6 at First United Methodist Church in Powell. Memorials may be made to Spirit Mountain Hospice House in Cody, or to the charity of one's choice. In lieu of flowers: Do what's right and do what's good. Be kind and help others. The world can always use one more kind person.